Digital stress: a variety of eye and whole body related symptoms induced from increased use of digital devices. Everyone has their own digital habits! But, we all use computers, tablets, laptops and cell phones far more than we ever did before. 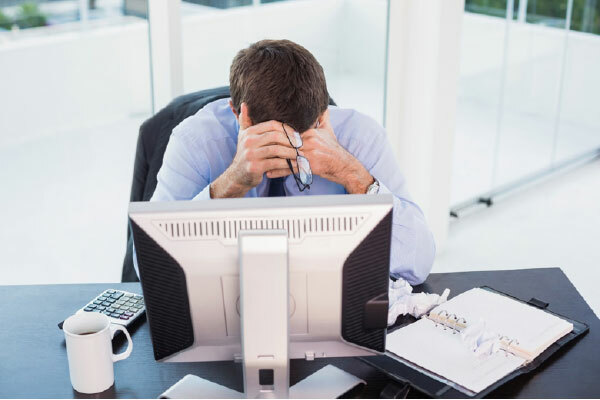 Whether it’s an hour at a time or all day long working on a digital screen, can result in dry eyes, fatigue, headaches, blurred vision, eye irritation and even stiff necks and sore shoulders. Multi-tasking with multiple screens. ”As many as 87% of people use more than one device at a time.” That seems absurd! That must only be the ultimate geeks. But, wait how many times do you check your phone while working on your computer? How many evenings do you spend with your tablet in your lap and the TV on? The point is that we all do it, we weren’t designed to do it, and it negatively impacts us in many ways. The first thing that happens when we focus up close is that our eyes get dry, tired and sore. Whenever we concentrate, whether driving, watching TV or looking at our devices our brain slows our blink rate. That means fresh tears are not being spread across you cornea, the clear window at the front of your eye, and our eyes become irritated. Next comes blurred vision. The cornea at the front of the eye has a nice smooth surface because it’s covered with a layer of tears. Images passing through the cornea from our digital screens are focused sharply on our retina, at the back of the eye. As the tears evaporate and are not replenished because of the slowing blink rate, this tissue dehydrates, and the eye become increasingly fatigued and irritated, resulting in blurred vision and even headaches. Finally, neck and back ache set in. Sitting at a desk, working on a computer all day plays havoc with our physiology. The body needs to be in motion, at least periodically. We tend to hold smaller devices, like phones and tablets, too close to our eyes and our bodies. This leads to pushing our heads forward, creating an awkward position for our necks and shoulders. Stiffness in the associated muscles and joints leads to neck and back pain. Perhaps even more frightening, the screens on our digital devices are brighter and easier to see because the techno-wizards that design them increase the amount of blue light. Unfortunately, that blue light has been proven to irreparably damage the light sensitive retina silently, but permanently, destroying sight. Some ideas to relieve digital stress. Get BluTech® Office eyewear lenses. Every 20 minutes, take a 20 second break and look 20 feet away. This practice simply causes the eye to relax a little. But, it has a remarkably positive impact on relieving many stress related symptoms. Think about blinking, a conscious attempt to blink will encourage that action. Also, stop periodically, put your fingers on your temples and blink slowly, like you are drifting off to sleep, you should feel no tightening of the muscles under your fingers. This practice will sub consciously reinforce the need to blink. Whenever possible we should hold our digital device screen an arm’s length away. To encourage the natural blink, we should position it so that we are looking down, rather than straight ahead or up. Avoid reflected light. Hold your smart phones and tablets further away.